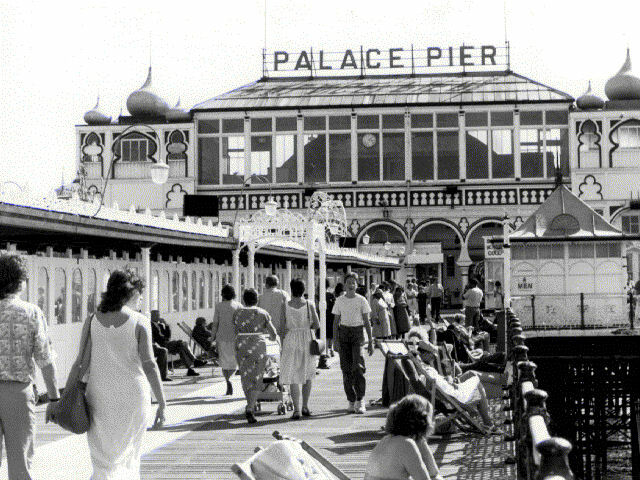 We would like to collect a photographic archive of people on the Palace Pier over the years. Especially we are interested in seeing just what you did on the pier in the 1960s, 70s and 80s. Kiss me Quick hats and candy floss? Did you buy one of those ‘Kiss me quick’ hats and pose for a photo? Did you do your courting on the pier – walking with your sweetheart? Maybe your Mum and Dad brought you to Brighton on holiday and bought you one of those sticky candy floss sticks on the pier. 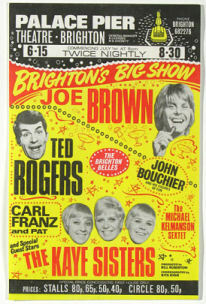 Did you go to one of the wonderful variety shows? If you would like to share your photo memories of the Palace Pier with us – please mail me at the address below. So let’s see those holiday snaps and we promise not to laugh! The photo of the Palace pier was it taken in the 1980s. I do not remember the theatre being at the end of the pier in the 1980s. So when was this photo taken? Palace Pier waffles. During the 1950s I was in a boarding school in Preston Road, my mother at the time was serving aboard the Orient Line’s ship the SS Empire Orwell. 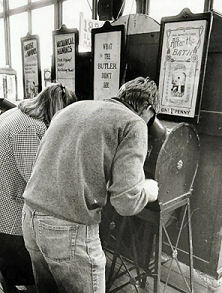 I recall her visits upon her leaves when she would whisk me away to the Palace Pier for one of those scrumptious freshly toasted waffles topped with fresh clotted cream and a slice of pineapple, then on to the amusement section where she inserted a penny in the box to watch the “Laughing Policeman”. On the way out of the pier we would have a photo taken in the photo booth at the entrance gate by the turnstile, then on to the Metropole for afternoon tea before my return to the school in the evening. The Palace Pier will always be the PALACE, not the Brighton, Pier.